Joy H. Calico is Associate Professor of Musicology and Director of the Max Kade Center for European and German Studies at Vanderbilt University and the author of Brecht at the Opera (UC Press). "An exemplary exploration in cultural history which shows with great nuance and sophistication how a single seven-minute musical work can open up so many key themes for understanding postwar Europe. This is a fascinating and important book that demonstrates how postwar Europe, including its Cold War division, needs to be understood not solely through politics but through the interpretation of cultural forms." "A unique addition to the burgeoning field of Cold War music studies. 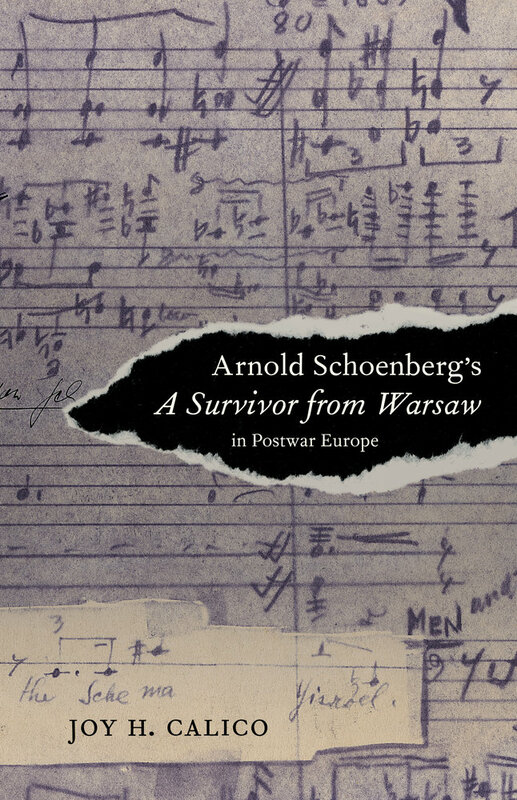 In Calico's hands, a meticulously researched history of the European reception of Schoenberg's brief cantata becomes a compelling tale of high-stakes cultural politics." "Using Schoenberg's charged Holocaust memorial as a guide, Calico traces an innovative, transnational path through postwar European cultural life, challenging, refining, and overturning well-worn assumptions along the way. This highly compelling book will appeal to a wide range of readers interested in history, music, politics, Jewish studies, and the Cold War."